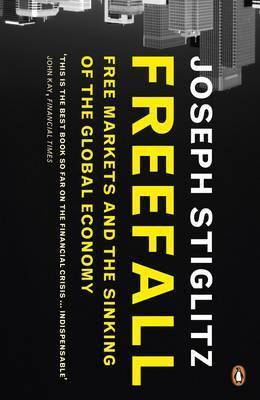 Freefall : Free Markets And The Sinking Of The Global Economy - ubiq bookshop: the best place to buy books! When the world economy went into freefall, so too did our unquestioning faith in markets. But what happens now? Are bailouts and stern lectures enough, or do we need a rethink of our entire financial system? This acclaimed and inspiring book, by one of the world's leading economic thinkers, dissects the flawed ideas that led to the crisis, but also looks to the future. Drawing on his years spent shaping policy at the World Bank, Nobel Laureate Joseph Stiglitz shows why far more radical reforms are needed to avoid future crises, why the cost of recovery should be borne by the financial sector, and how we now have the opportunity to create a new global economic order. Out of the crisis of our times, Stiglitz has written a convincing, coherent and humane account that goes to the heart of how economics and societies work.